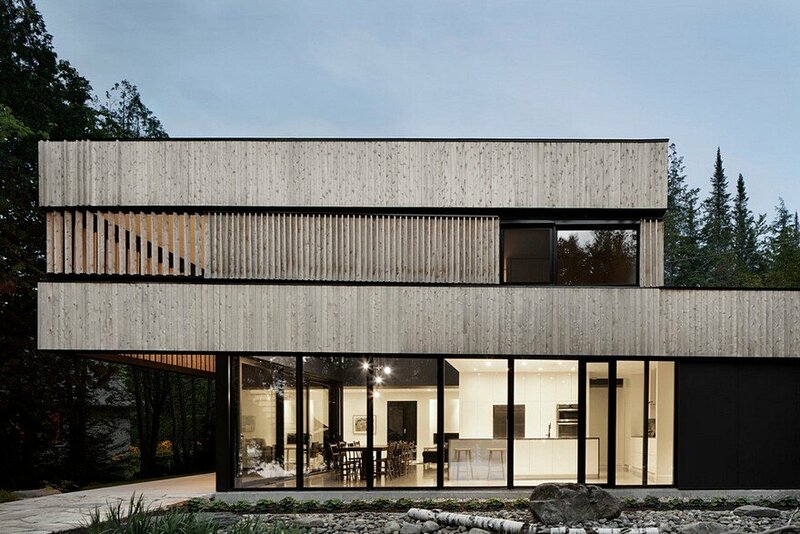 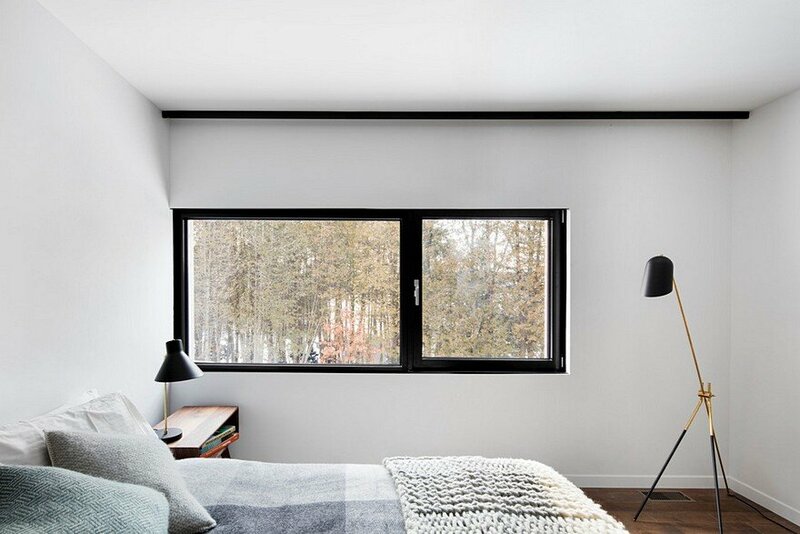 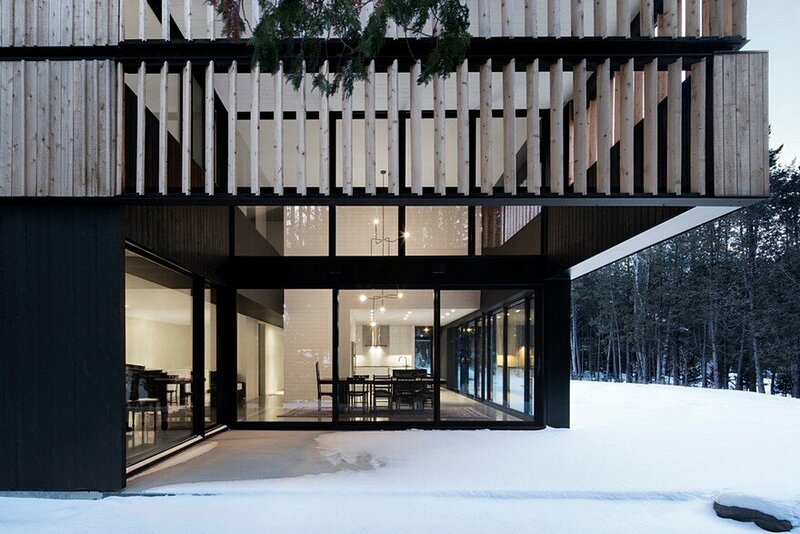 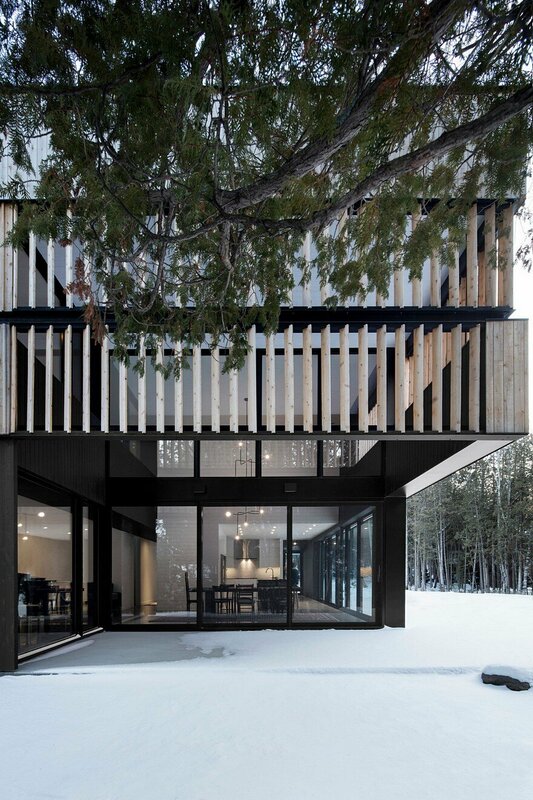 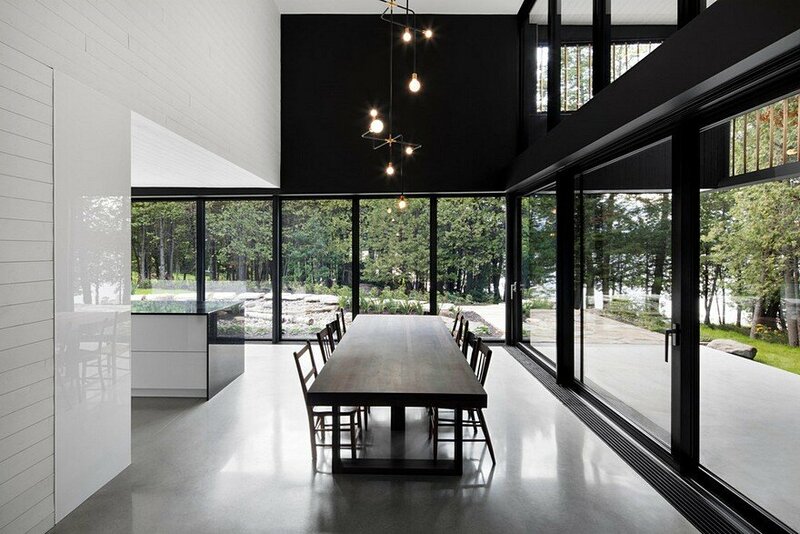 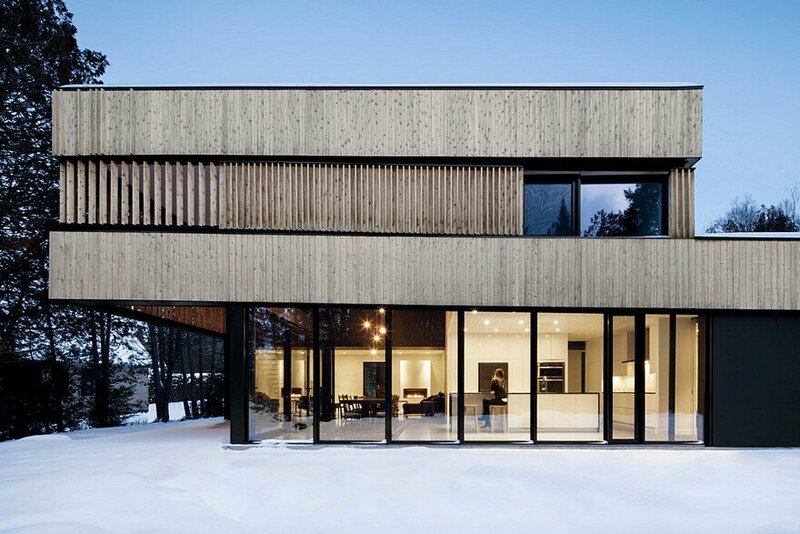 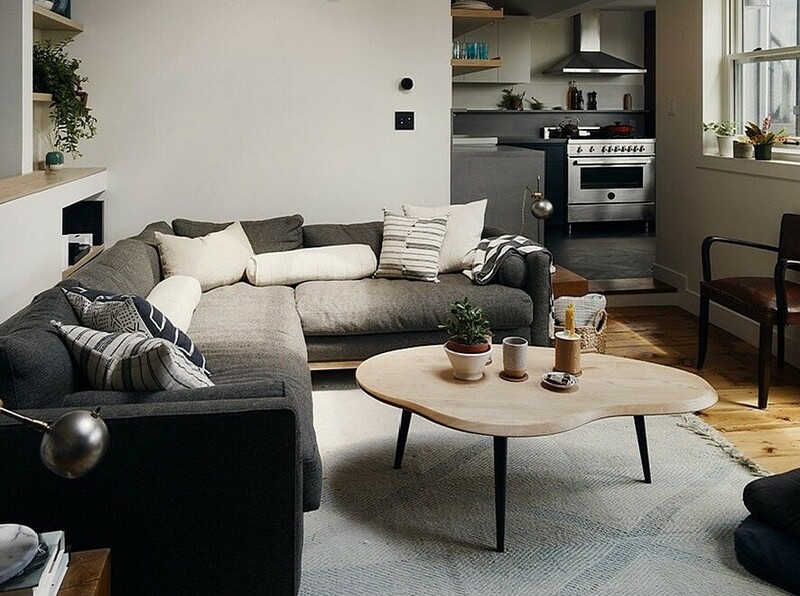 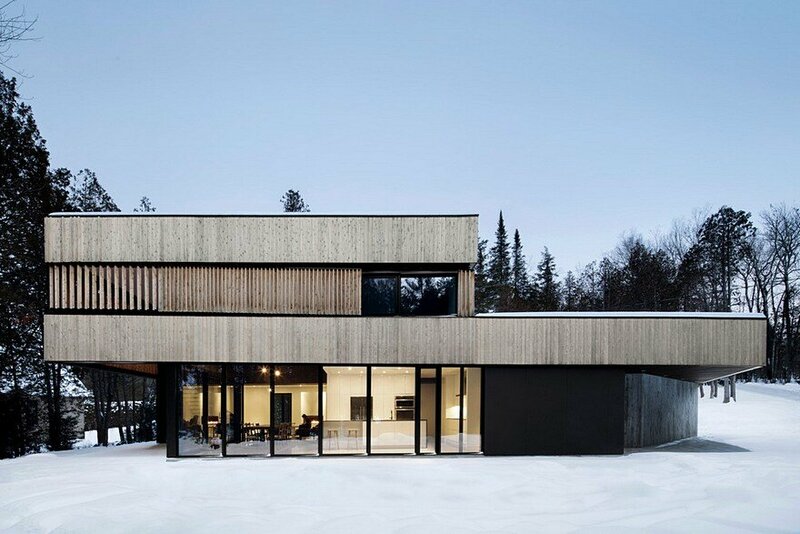 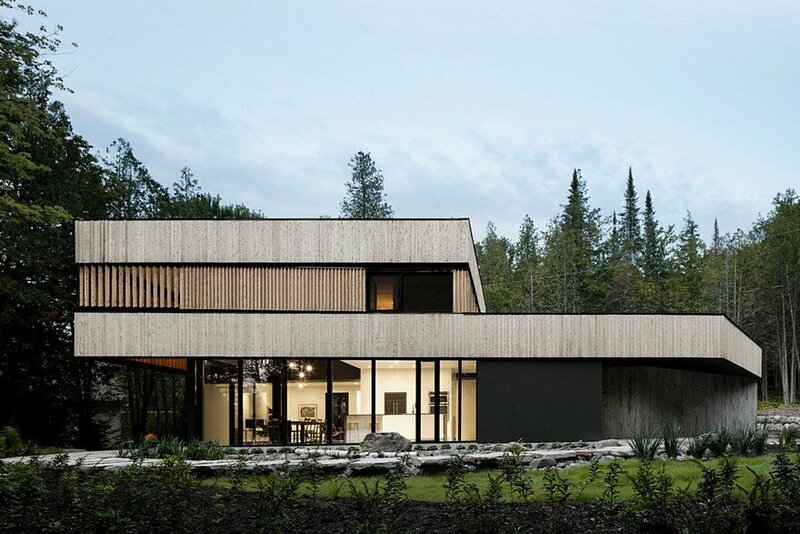 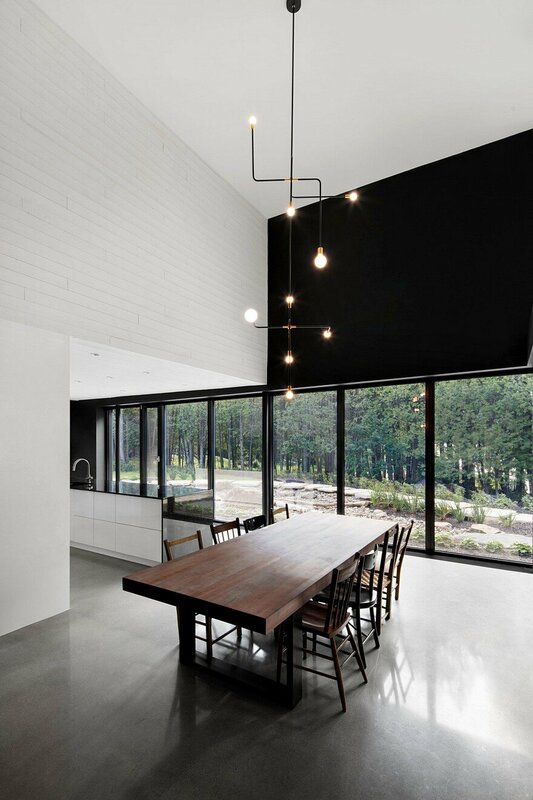 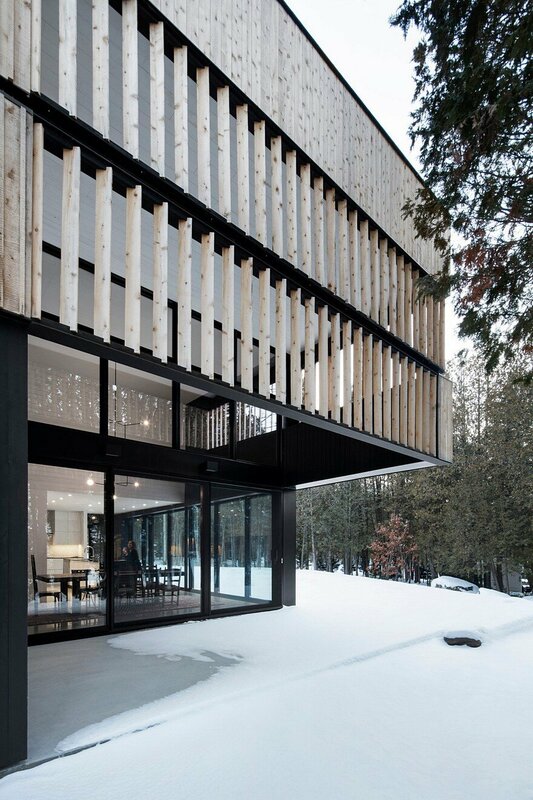 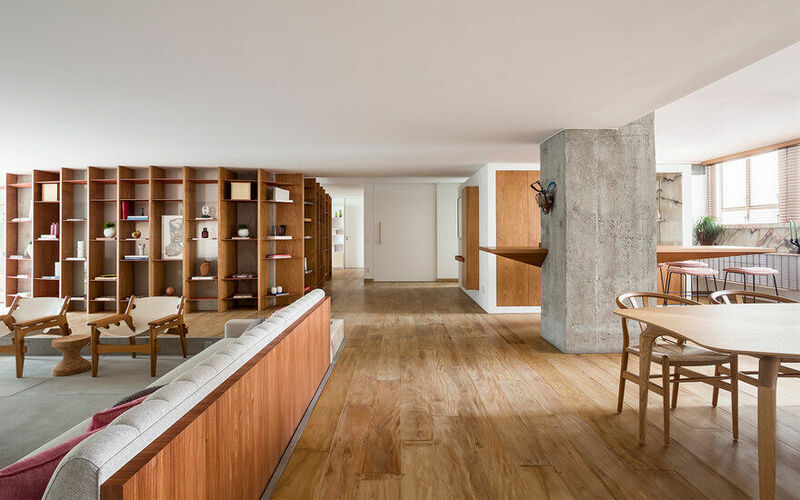 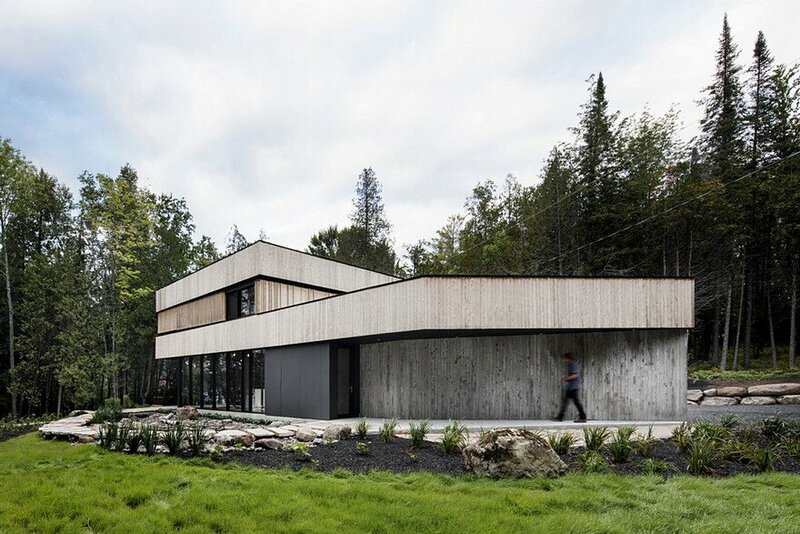 Located on the shores of Lake Memphremagog in the Eastern Townships, the House Lachance is a secondary residence designed for two clients who are native to the region, and currently oscillate between Montreal and Magog. 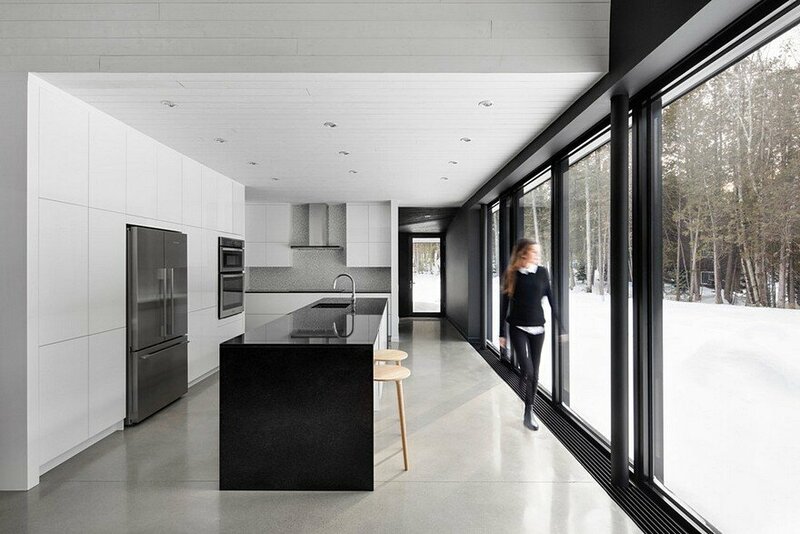 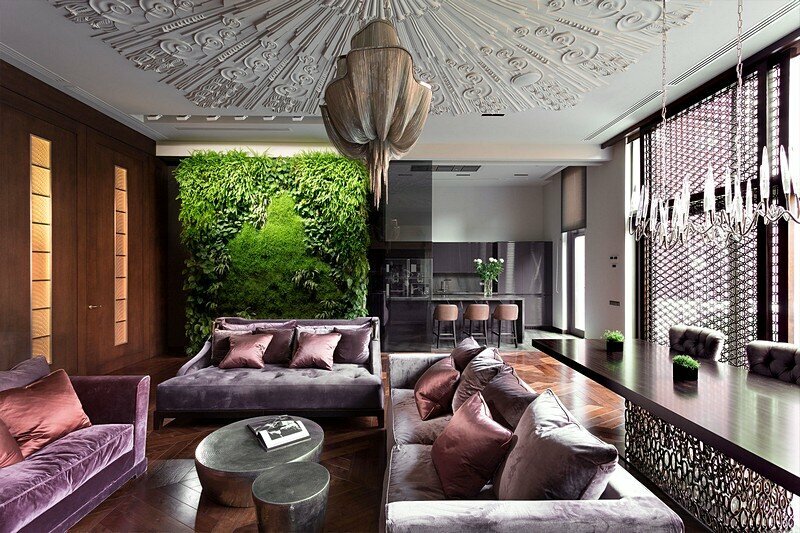 Rapidly, the two clients who love music, nature and the land expressed their desire for a home with an open living area, where gastronomy and good dishes are prepared in direct relation to nature and the lake. 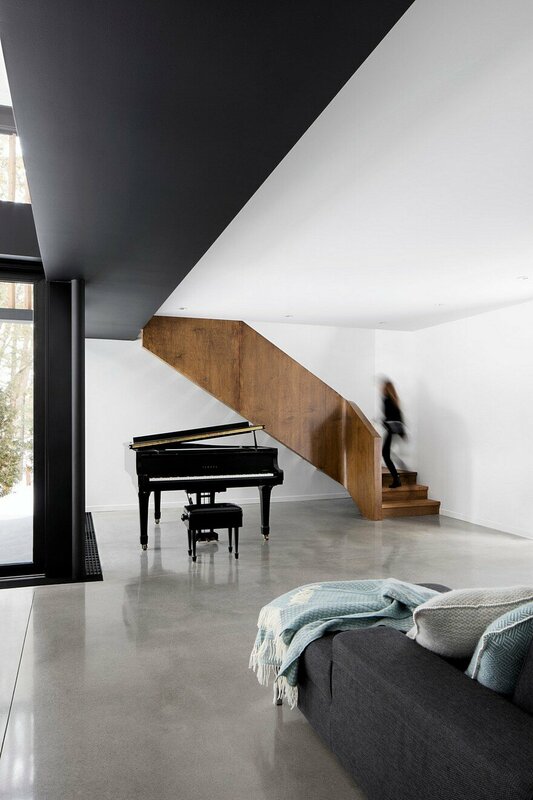 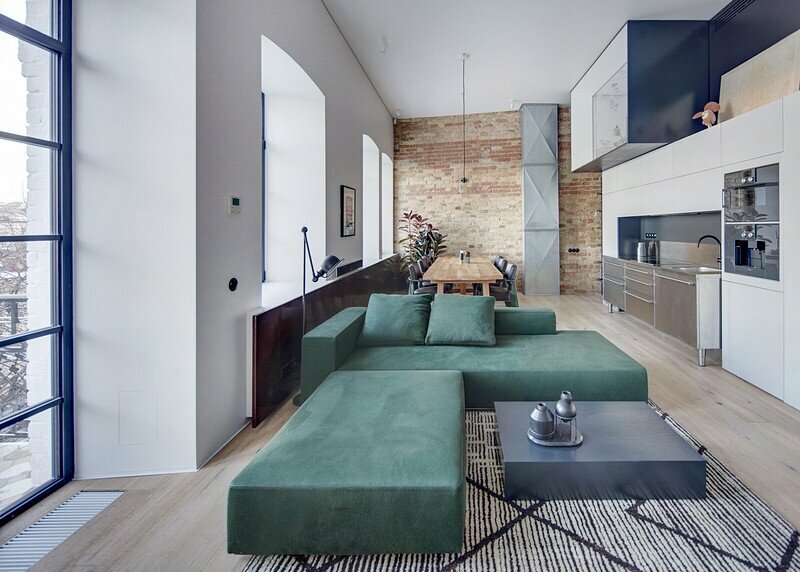 At the heart of the space thus settle the three strong and unifying elements of the project: the kitchen, the dining table and the piano.